What's in a name? Try it or Miss it. Lets try to find our own personalities and sexualities. It's fun and you'll love it. How accurate/inaccurate would it get, I don't care. And, believe it or not, it's all in your Name,it's alphabets. Here we go, uncovering the meaning behind a name. I suggest you to use your first name for this. This theory as some have proposed is known as the art of Nameology(Namelogy). Here's the deal, You sum up all those numbers below in parenthesis and collect each descriptions from each of the letters to form it a full description about oneself. Once you have that, see what it says. It's FUN. V(10) Have a very good physique and looks. Not judgemental. I(200) Always smiling and making others smile. Is always there for their friends. |wink wink| try it on your friends name too..
B(14) Always cautious when it comes to meeting new people.Likes people overall. C(9) Have a partier side in you, don't be shy to show it. Is wild and crazy. F(12) Everyone loves you.People adore you. G(3) Have excellent ways of viewing people.Never let people tell you what to do. H(10) Not judgmental.Has a very good personality and looks. U(11) Feel like you have to equal up to people's standards. Really likes to chill. W(10) Like your privacy.Very broad minded. X(3) Never let people tell you what to do. Y(210) Cause a lot of trouble. One of the best damn bf/gf anyone one could ask for. This is all about numbers. **I had written similar post in past. 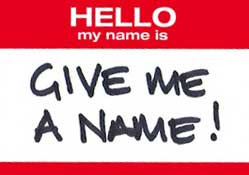 Check another NAME game telling how exotic you are by clicking here.